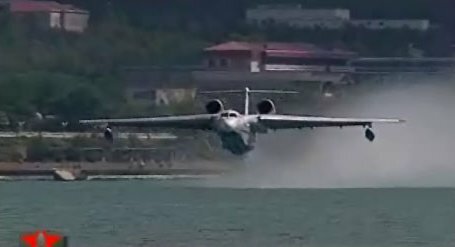 If you wish to submit a flying boat video clip, or know where there is one that would add to this Gallery please e-mail SEAWINGS by clicking here. I would love to add to this list as time goes on. This Video Gallery Page is respectfully dedicated to the memory of Flight Lieutenant Dimitris Stoilidis and Flying Officer Yiannis Hatzoudis - CL-415 crew - 383 Fire Fighting Squadron - Hellenic Air Force. On 23rd July 2007 Flight Lieutenant Dimitris Stoilidis, aged 34, and Flying Officer Yiannis Hatzoudis, aged 27, were killed when their CL-415 came down in the area of Styra, southern Evia, Greece. Stoilidis was a married father of two twin boys, whilst Hatzoudis was single. TO VIEW: Please give these pages time to load fully as they are very image intensive. Scroll down to the video you want to watch and just click the arrow in the centre of the screen. The video will start immediately, and enjoy! New videos will be added as they become available to me. Double click on the screen to view the first three videos. First rate video footage of the Albatros which broke 148 world records. Also included is film of the Beriev Be-12 and a demo flight at the Gidroaviasalon-2006. 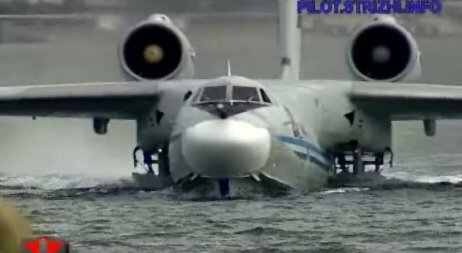 This video shows both the Beriev Be-200 and the Be-42 (aka the A-40 Albatros) flying at the Gidroaviasalon-2006. 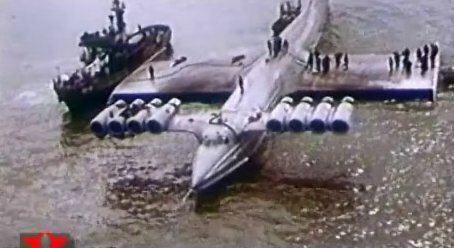 Also includes footage of the Be-103. You have got to see this footage, it's amazing! I cannot speak Russian but I sit here glued to the screen, and you will be too! 0:54secs via SEAWINGS - with a mischievous grin!! I love this video, just wish I had been one of the two in the fishing boat - with my digicam!! Or even better, the Pilot!! Very interesting documentary with so much in it that I had to watch it a number of times. Superb details and full of images for the modeler. Superb footage showing this magnificent craft in-flight, something which I had never seen. Also shows close-up details of the airframe. Typical Stateside WWII news-real footage. Very stirring! Lots of details to view. Chalks Turbo Mallard lands in Bimini, taxis up the ramp and then departs for Miami. Good close ups of the aircraft and cockpit during water takeoff. Following my photographic article elsewhere on this site of my own flight, this gives the 'feel' of actually being there. Frankly, it's the next best thing! Short little documentary on the SuperWal with views of her flying. Nice.